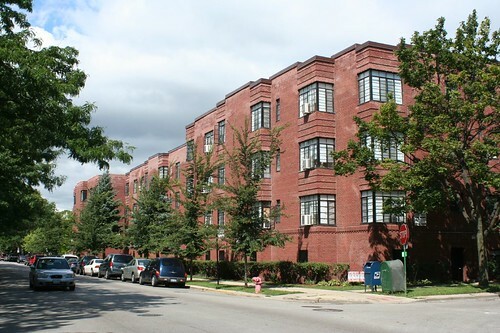 Granted, it’s been 17 years since those words were published in the first edition copy of the Guide, in reference to Rogers Park’s Granville Gardens apartments. 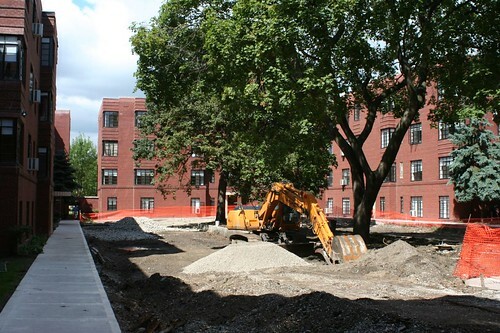 But sure enough, when I first paid a visit to photograph the Moderne garden apartment complex, there was construction work underway in the courtyards. On a recent repeat visit, I discovered that the interior courtyards were being converted into parking lots. Augh!! 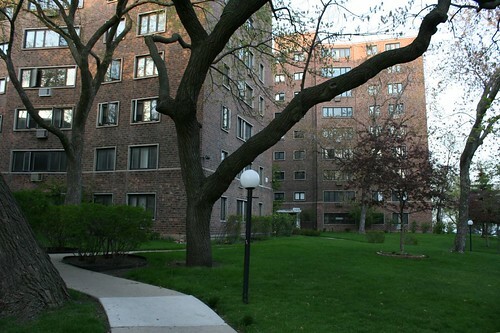 Granville Garden – now partially renamed Granville Court Apartments – stands amid the sides streets between Peterson and Devon, on the corner of Hoyne and Granville. 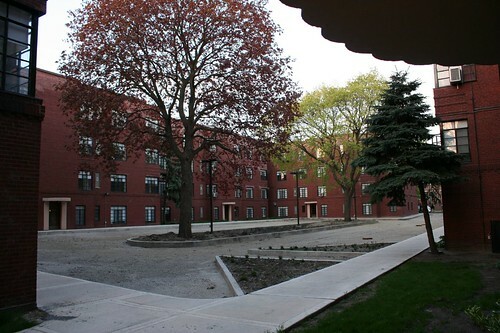 It’s a complex of 14 buildings, connected by open terraces in groups of three and four, and arranged around the two courtyards. 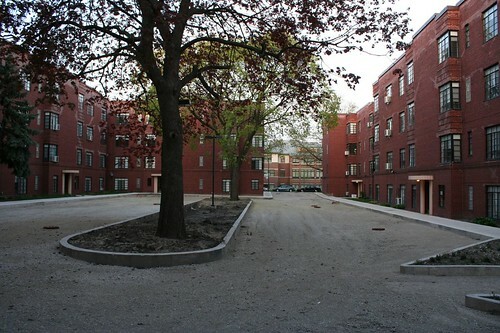 It’s a lovely, thoughtful way to manage housing, dense but not crowded. HHK&T liked their angles. Not only do short angled bay windows form the buildings’ most distinctive feature, but the site plans place nearly all of them at slight angles to the streets and to each other. The four block plans are all different, as none of the available parcels were the same shape and size. 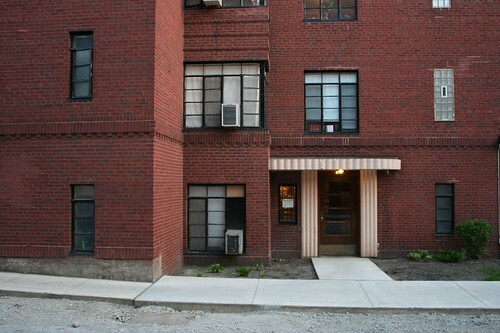 The result is a delightful variety in the resulting garden spaces between buildings, with no two alike. 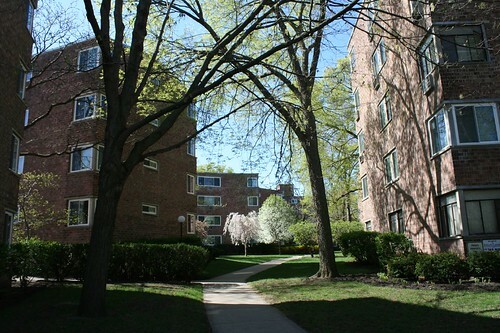 Meandering sidewalks lead through the buildings and to their doors. The buildings themselves are almost Spartanly simple, though many feature three sculptured designs piercing the walls of their stairwells. 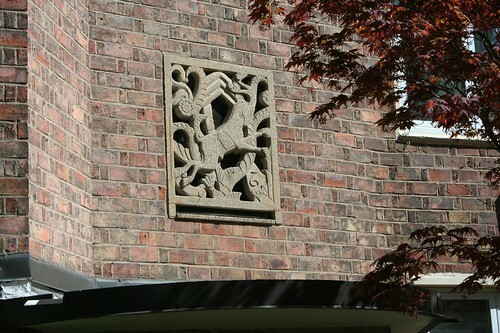 The three sculptures – stylized versions of Zodiac figures Aeries, Pisces, and Capricorn – were designed by architect Coder Taylor. Each is only semi-solid, allowing light from the stairwell to illuminate its outlines at night. 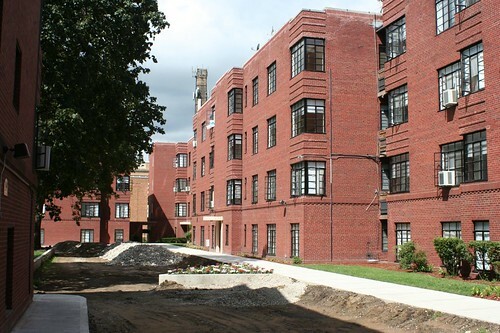 Winchester-Hood has a near-twin down on the south side, the Parkway Gardens apartments at 6415 S. Calumet. Fenced off, surrounded by parking, and in a generally rough section of town, it’s not nearly as inviting. I have yet to photograph it. HHK&T were busy after World War II. 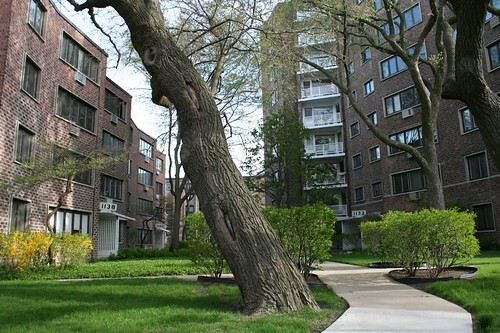 In addition to Winchester-Hood and Parkway Gardens, they acted as consulting firm to Mies van der Rhohe’s famous Lake Shore Apartments. 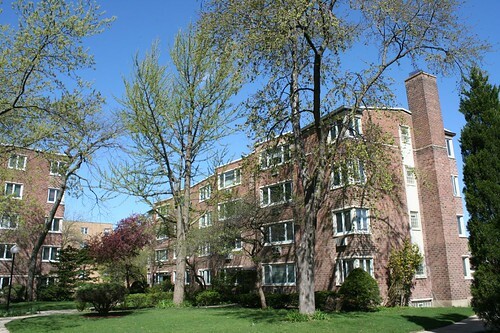 And in 1948, the firm designed a second Rogers Park complex, the Lake Lunt Apartments. 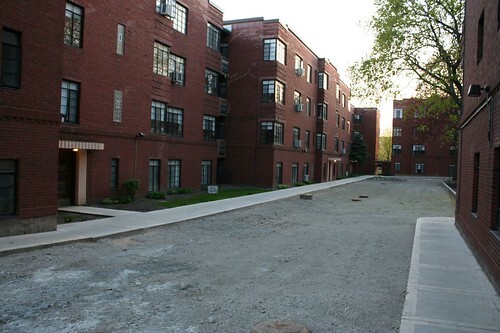 Consisting of three buildings on a single large lot, Lunt Lake stands on one of the many dead-end street stubs east of Sheridan, that end at the lakefront. Lunt Lake isn’t as bucolic as its sister development, but its structures are cut from the same cloth. 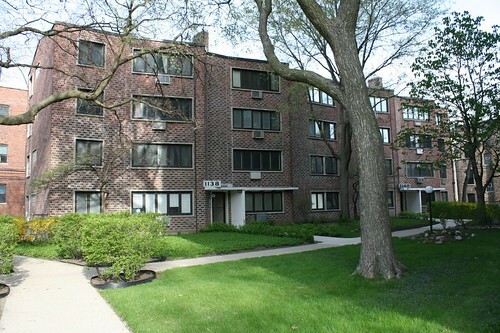 Lunt-Lake was finished at a cost of $1,000,000 – quite a steal for putting up three buildings! 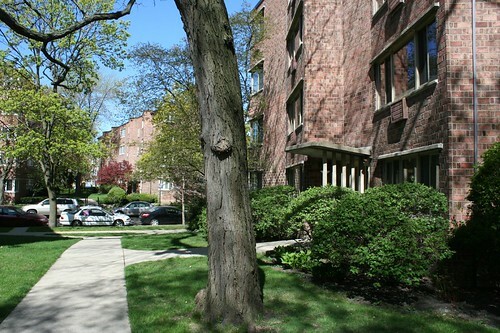 Lunt-Lake and Winchester-Hood were both featured in Architectural Forum of January 1950, which noted the unusual brickwork. Designated “rowlock bond”, it was combined with poured, steel reinforced concrete to create a very thin, strong bearing wall. 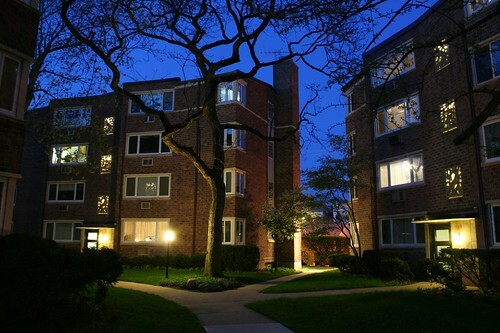 This entry was posted in Midcentury Modernism, Pre-War Modernism, Rogers Park. Bookmark the permalink. Check out this detail from a building on King Drive in (technically) Greater Grand Crossing:http://www.flickr.com/photos/reallyboring/4361820398/in/set-72157606918594719/I unfortunately don't have an overall shot of the buildings, and I think they may have since been demolished, but the decorative panels and angled windows look tantalizingly similar to the Winchester-Hood Garden Homes. The book you cited probably noted the neighborhood as Rogers Park, but I'm afraid that is an error.As a former resident of the Granville Gardens complex (in fact, my apartment overlooked the courtyard being converted to parking), I need to point out that both G.G. 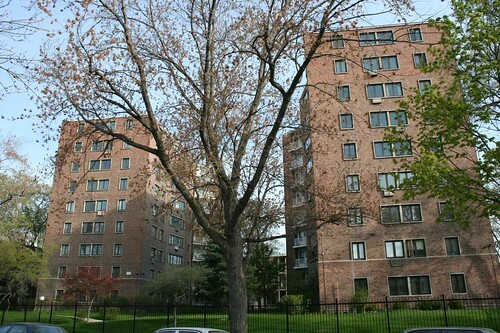 and the Winchester-Hood Gardens complexes are actually located in West Ridge, not Rogers Park.Though sometimes referred to as "West Rogers Park," West Ridge is a separate and distinct community area from Rogers Park (the west & south borders of which terminate at Ridge Boulevard and Devon Avenue respectively).Though, more specifically, the complexes are located in the Nortown neighborhood for which the intersection of Devon and Western Avenues is the main commercial hub. @Eric: WHOA!! Sweeeeet! That's definitely the same sculptor! What a bummer if they're gone. @QRBNST: I guess I knew that if I'd thought about it. I tend to think more in terms of contiguous areas of city rather than official boundaries, so I tend to use "Rogers Park" for everything east of Western Avenue, or more broadly, everything east of the north river channel. There is a shift in the architectural character of the streets west of Ridge, but otherwise Ridge isn't much of a barrier or dividing line. For my money, a better place to draw the line would be Western Avenue, which is a big obstacle separating east from west. But I guess it's good to be accurate as possible, if only for the sake of Google-friendliness. 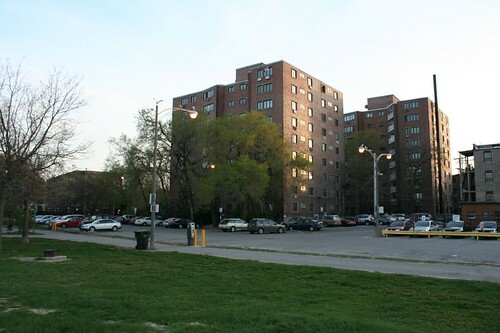 Yes – the buildings on King Drive are HHK&T and still there, there is also another complex just west of the deco buildings – with the dreaded double-hung windows, it's only one that is now condo, rather than still a co-op, of the north side complexes. 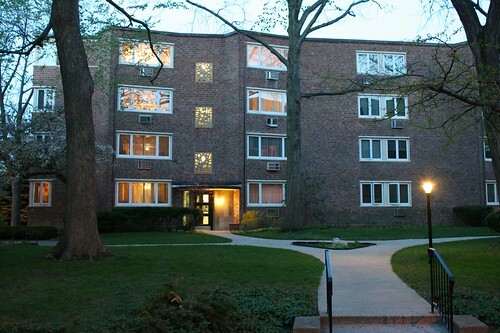 There's also the Sherman Gardens in Evanston at Sherman. 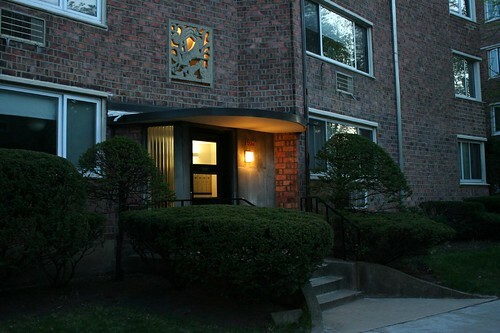 I think that the three/four in West Ridge are Granville Terrace (Wolcott and Granville), Winchester Hood Garden Homes and I can't remember the other names – I looked at units in three of the complexes, but ended up in a "Just Holsman" building elsewhere. 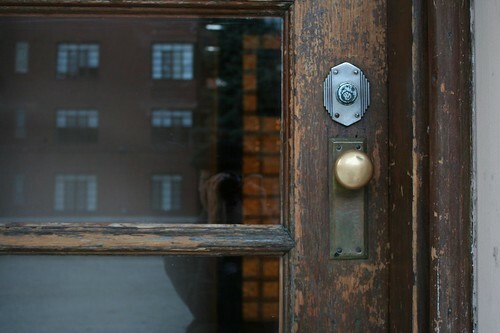 I've posted partial plans and details on my blog (had to hype that) if anyone is interested.